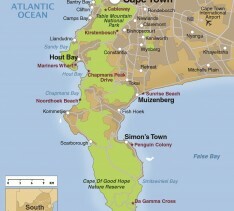 Cape Town is deservedly regarded by many as one of the top city destinations in the world. Table Mountain creates a truly breath-taking setting for the abundance of attractions, world class restaurants and top accommodation that will suit all tastes. In the heart of the city’s working harbour, the Victoria & Alfred Waterfront has become one of South Africa’s most visited attractions, offering shopping and entertainment, intermingled with an exciting range of restaurants and bars. 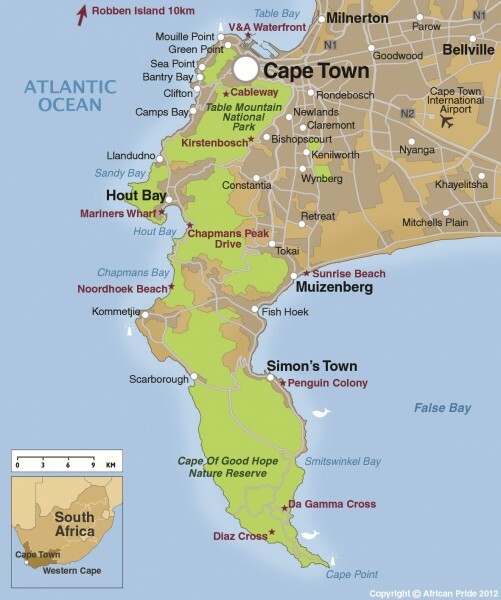 A trip up Table Mountain on the revolving cable car is a must and, from here, the views over the city and Cape Point will entice you further to visit other areas including; the history of Nelson Mandela’s imprisonment on Robben Island; the attractions of the Cape Peninsula which take in Chapman’s Peak, Hout Bay, Boulders Beach and Simonstown; the spectacular range of beaches such as Camps Bay; the Kirstenbosch Botanical Gardens which showcases the finest collection of South African plants set on the slopes of the Table Mountain; or, finally, escape from the hustle and bustle of the city to the Cape Winelands. All this can be easily accessed by self-drive hire car, or enquire about the range of day tours we can pre book for you.